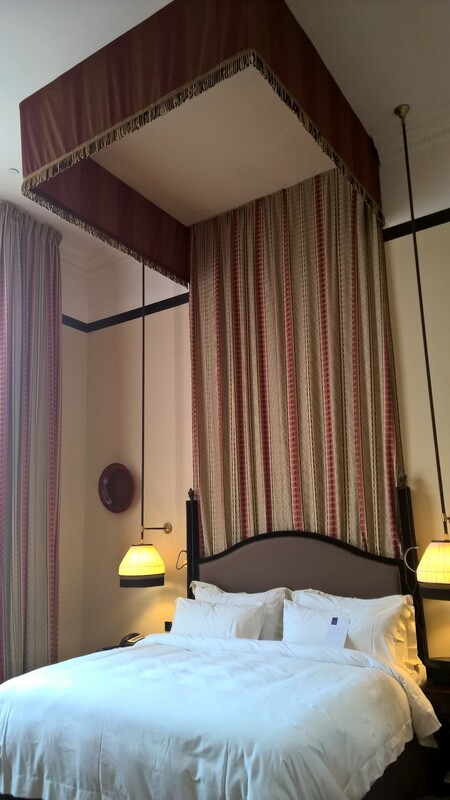 I gasped when I entered our room at the Hotel Des Indes. 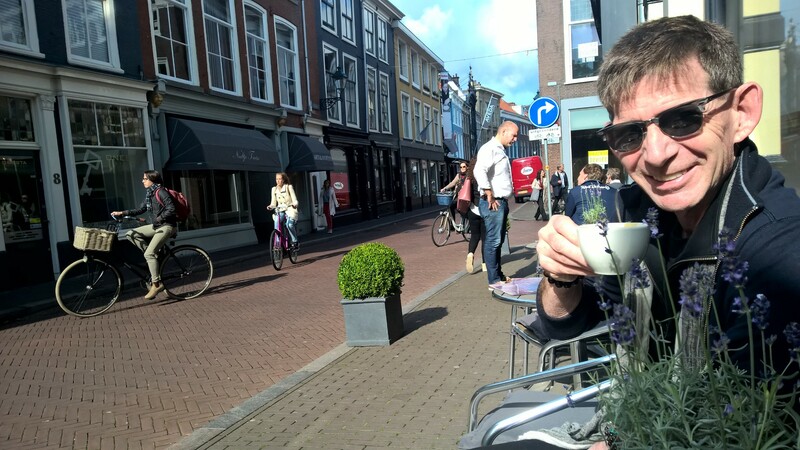 So, we’re staying in The Hague primarily due to my desire to utilize all those wonderful hotel points I’ve accrued from my travels. When you use points, sometimes you get an awesome room and sometimes you don’t. Luckily, this was one of those awesome times. With twenty foot ceilings and a canopied bed, the old world furnishings and world class service made us feel like royalty. SCORE! Open since 1856, this hotel has been “the” place for politician and celebrities like U2, Prince and the Rolling Stones to stay when visiting this capital of the Netherlands which also hosts the Peace Palace, home of the International Court of Justice and the Permanent Court of Arbitration. 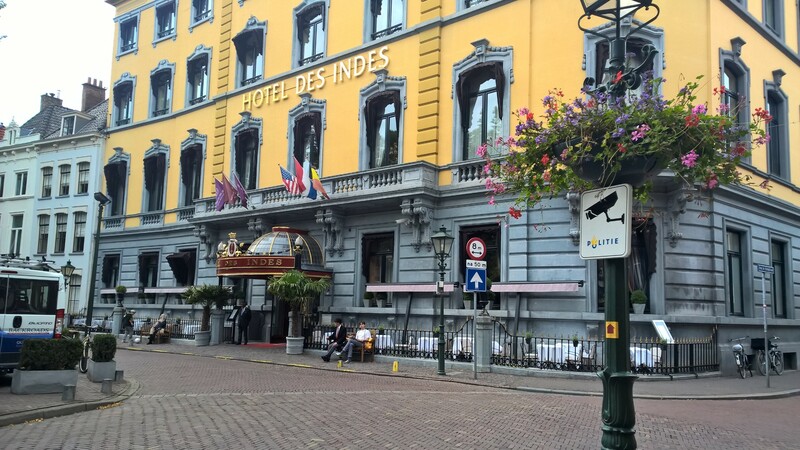 Classy and stylish, the Hotel Des Indes is the bomb! 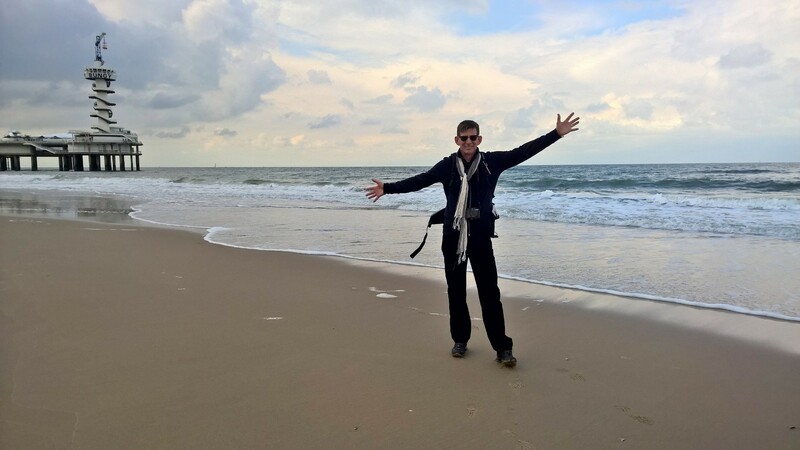 In our usual style of just wandering, we first hopped on the tram to see the North Sea to enjoy some beach time but on the way back, we jumped off to see the Peace Palace. 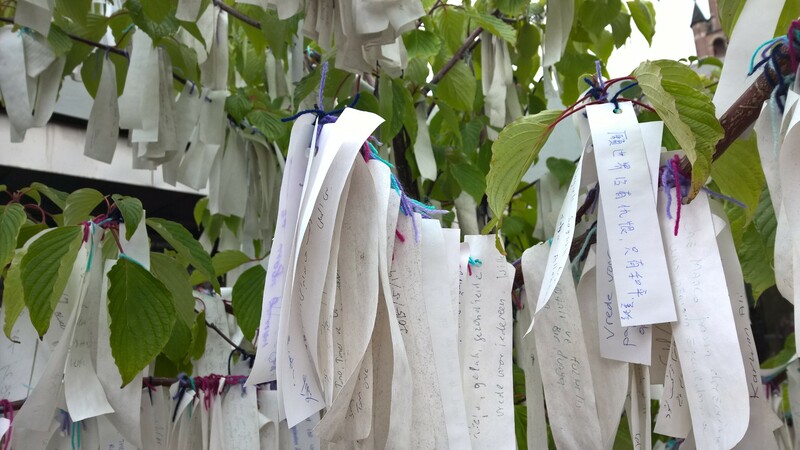 The Peace Tree filled with words of hope from international tourists. I’m so glad we did because the story of how it was founded in the early 1900’s with seed money from Andrew Carnegie was fascinating. The Court was in session so we didn’t get to go in the building but we did take the audio tour on the grounds. We even got to join with international tourists and write out our hopes for peace onto the official Peace Tree outside. Very cool moment for our trip! Looking forward to going to a tapas restaurant tonight after taking a wrong turn last night and missing it. Never fear, we ended up on a rainy night just finding another place that I had read about on TripAdvisor, Garoeda, that had tasty Indonesian cuisine. Feasting on tempura shrimp, chicken satay and rice, we’ll just go tapas tonight instead. After enjoying the sauna room (hot Damn!) and a refreshing dip in the tiny pool which had jets so you could simulate swimming against a strong current (how cool is that?? ), we are ready to relax and enjoy an evening on the town in The Hague at Oker’s. Tomorrow, we are off on the train for another adventure to…….